In 1939 my Grandfather, Harold Traxler, a realtor, carpenter, and entrepreneur, bought a beachside lot on Heceta Beach from a friend. Shortly thereafter, he managed to talk a local beachcomber out of a nearby mule shed, and had it dragged onto the lot. Immediate renovation began, and the shed was transformed into a one room beachfront cabin, complete with no running water or indoor plumbing, but the beginning of a family tradition none the less. In 1945, my folks (Cal and Beverly Taylor) spent their honeymoon at the cabin during Dad’s leave from the U.S. Navy in World War II. In the early ‘50’s, Grandpa was at it again, and constructed a small two story addition to the cabin. This time, indoor plumbing was added, along with a masonry fireplace, kitchen, and upstairs bedroom. 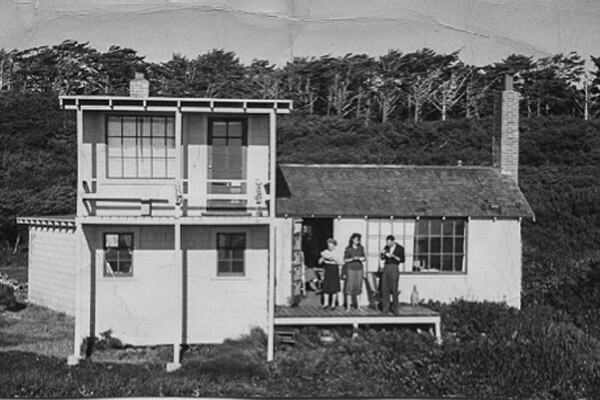 This was the cabin that served as a family anchor on Heceta Beach for the next 60 some years. 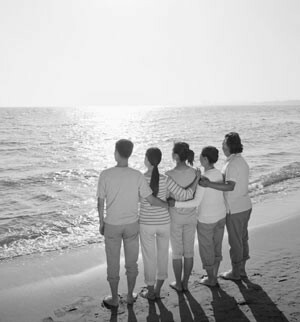 Birthdays, anniversaries, honeymoons, 4th of July celebrations, and family vacations were enjoyed by literally hundreds of family members and friends over the decades. 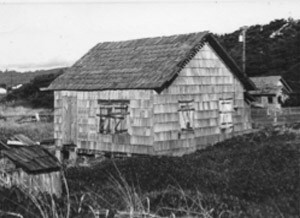 The cabin withstood the infamous “Columbus Day” storm in the 60’s, and too many El Nino tides to keep track of, along with the often brutal weather assaults that the Oregon Coast serves up each and every year. For a converted mule shed, Traxler’s Cottage easily outlived its’ contemporaries, and continued to provide shelter for the family (albeit rather rustic), until September of 2013, when a new chapter was born. The Traxler’s Cottage that stood the test of Oregon Coast time for nearly 75 years, was demolished and removed in two days, clearing the way for construction of a new cabin, “Traxler’s Surfside Cottage,” which will welcome our family, as well as others to the Oregon Coast once again.